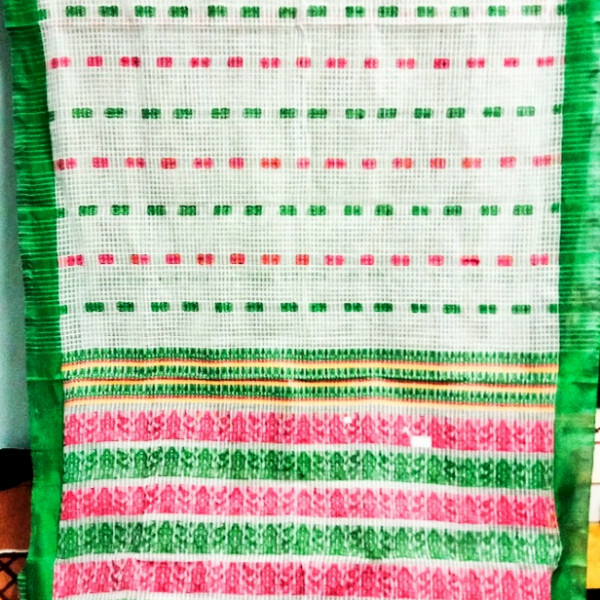 It’s a fine quality Kesa paat Saree in off white base where Green and Red colour small buta work is done over whole body with Green side border. 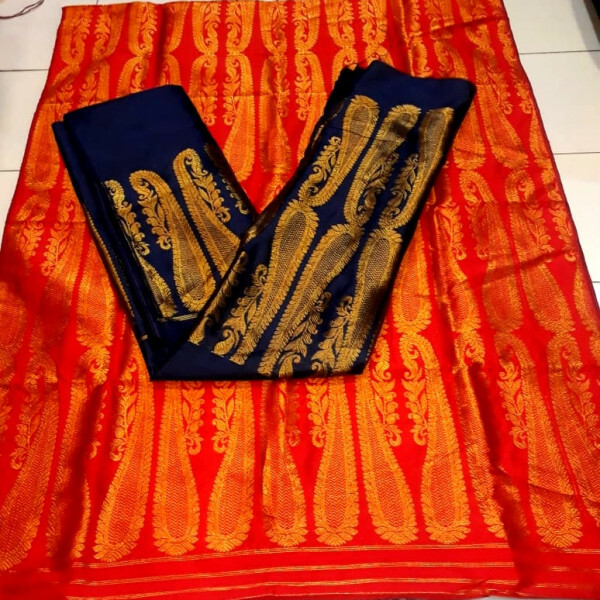 Beautifully designed this Saree is comfortable to wear daytime in some rituals at home or occasionally. 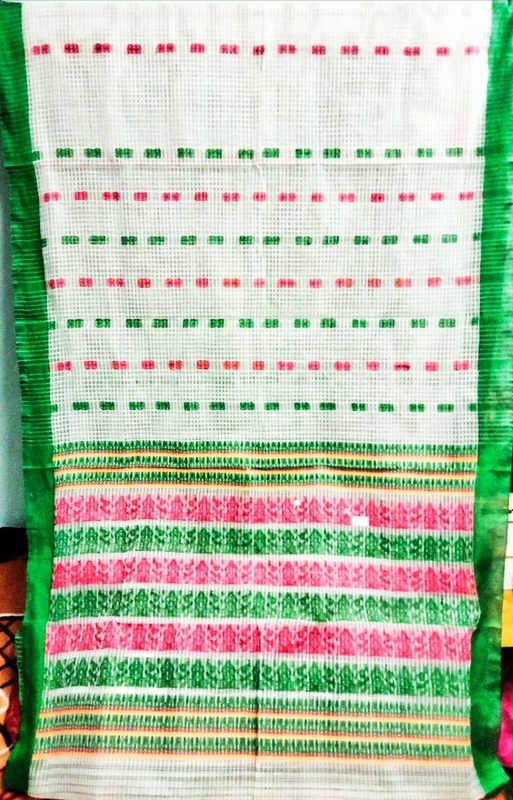 Women of middle ages can wear this type of Saree comfortably. 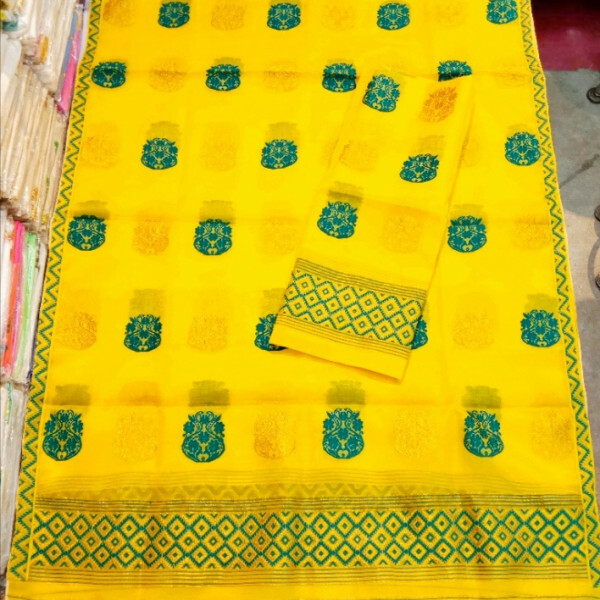 Also young ladies can wear this Saree with matching ornaments. Material care: Hand wash with light detergent.